You might say that efficient energy projects make good neighbors. Across the United States, more and more homeowners are choosing community solar. They partner with their neighbors and their local municipality or utility company to generate solar electricity through group-funded installations. Community solar allows any homeowner to take advantage of solar energy without installing solar panels on their roof. How Is Community Solar Defined? Community solar is a broad term that refers to any solar energy installation that benefits more than one household. The term most often refers to large-scale solar installations on unused land that provide solar energy to more than one home. 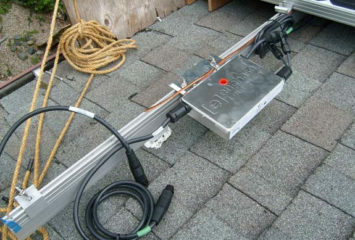 As part of the project, participating homeowners can often receive an energy rebate from the utility company. Who Owns a Community Solar Project? Community solar projects have varying ownership structures. Each of the arrangements below have essentially the same purpose: to allow multiple members of a community to gain from a single project. Local utility companies often own or operate solar installations that allow ratepayers to buy in and participate in funding the growth of the project in return for a rebate on their energy bill. Subscribers are usually those looking to lower their electricity costs, and these projects often help utility companies reach green energy goals or benchmarks. Community solar projects may be directly funded by community members using a special purpose entity model. In this case, individuals in the community join together under a business enterprise to fund and operate an independent solar project, and the contributors will see a return on their investment over time. Some community solar installations are owned by charitable nonprofit corporations. Donors can contribute to the solar project, which produces electricity for the community as a whole. The donors don’t receive any direct profit, but the entire community benefits from reduced electricity costs, job market development, and the growth of a green economy. The goals of community solar projects vary, but compared to single-home residential projects, all community solar projects benefit from the scale and logistics of the larger solar installations. As more community members join a solar project, the costs associated with the project decrease. Larger installations can reduce the installation time per panel, and large-scale wiring and inverter systems can reduce the labor costs associated with the project. Community solar projects can help generate interest in solar on a wider scale. This can create opportunities for new local economies. Large-scale solar projects require a lot of time and resources, creating numerous short- and long-term job opportunities for installation, maintenance, and management of the solar system. How Can You Get Involved in Community Solar? If your home won’t support an on-site solar system, you’re a perfect candidate for a community solar project. Check with your local utility provider or planning board to see if there’s already a community solar operation in place. If there isn’t, your local solar installer may know of SPE projects in your area that can provide an avenue for investment. If none of these options exist in your area, start talking to your neighbors. Chances are many of the people in your local community will be just as excited as you are for a community solar project. Hundreds of communities have started their own projects from scratch; it all starts with a little interest and a big idea. NREL and the city of Portland have collaborated to create a guidebook that can help you make your community solar project a reality. What Are Some of the Most Popular Solar Community Projects? In early 2016, ninety-one community solar projects and a total of 102 cumulative megawatts of power were installed in the United States. These community solar projects exist in twenty-five states, and the list is growing each year.2 Here are a few examples of community solar projects that are leading the way. Portland’s community solar program, titled “Solarize Portland!,” was an early leader for solar power in Oregon. 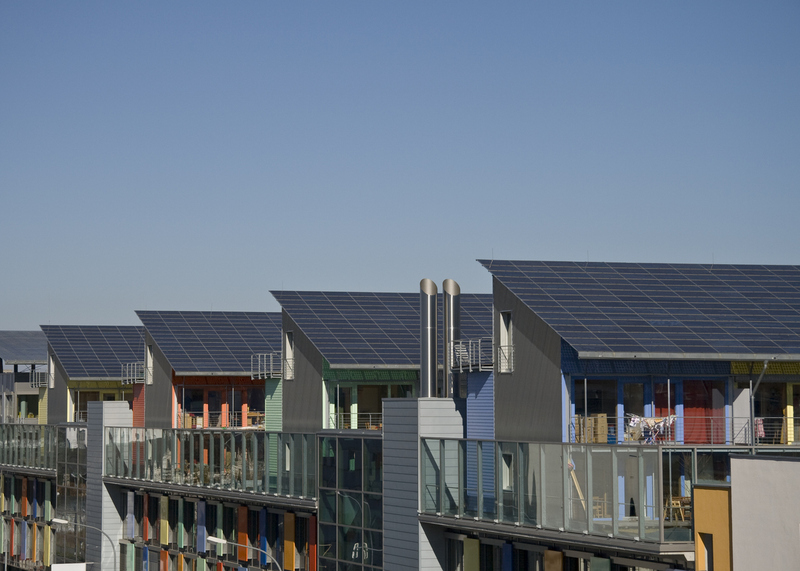 Between 2008 and 2012, the city and local neighborhood associations established a community solar model that allowed any neighborhood to create their own project. 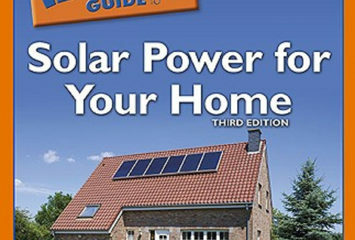 The National Renewable Energy Laboratory capitalized on the interest by creating a community solar guidebook for the city of Portland, which provided step-by-step guidance on creating new community solar projects. One of the bonuses of community solar is the opportunity to test innovative financing and infrastructure models for the future. Arizona’s public utility, APS, took the opportunity to test the energy grid of tomorrow in their Flagstaff Community Power Project pilot program. APS installed solar panels on 125 residential rooftops and the roof of a local elementary school, and they installed a neighborhood-scale solar energy plant that produced 1.5 MW of distributed energy. Each participating household or structure in the pilot received a rate discount equal to their portion of power generated by the panels. APS owns, maintains, and manages the system as a whole. SunShare Community Solar is an independent business that establishes and manages community solar projects in two states: Minnesota and Colorado. SunShare’s energy gardens allow customers to buy into a solar project without ever installing anything on their own roof. Customers receive solar energy credits directly on their utility bill. In addition, customers receive their solar electricity at a locked-in rate, avoiding the 4% to 5% increase in energy costs expected over the next several years. What Other Group Options Don’t Fall under Community Solar? There are several other group arrangements for solar power that don’t fall under the definition of community solar. These arrangements may offer some of the same rewards, but they usually won’t have the same impact on the local community as community solar projects. Neighborhoods in California pioneered the practice of group purchasing. Many solar companies, including Heliopower and SolarCity, encourage customers to purchase solar systems with their neighbors for a group rate. For-profit corporations like One Block Off the Grid (1BOG) help facilitate group purchasing deals to enable bulk purchasing rates and reduced costs for customers. However, the solar installations themselves are installed on the residential property and are independently owned and operated by homeowners after installation. Many utility companies allow customers to purchase green energy from other solar installations attached to the grid. These arrangements, called “green power” programs or SREC markets, are different from community solar in that each customer buys their solar electricity independently. There’s no financial incentive for doing so, other than the environmental gain of purchasing clean, renewable electricity. Solar energy firms and crowdfunding efforts allow customers to invest in solar installations and see a return on that investment. Unlike community solar, these projects are location-independent and are completely separate from a customer’s utility bill. The profits from these investments are taxable, while most community solar project benefits are received tax-free. These projects may serve individuals without a local option for community solar projects. Community solar may be the start of the next-generation renewable energy grid. By providing power to an entire neighborhood through a single solar installation or project, community solar programs serve as a model for the future of energy production. As costs continue to drop and interest continues to increase, expect to see community solar become more and more common throughout the United States. You can join the thousands of homeowners already involved in community solar to lower your energy costs and reduce your environmental impact. If your area is still catching up, perhaps you’ll be the one to put the next great community solar project on the map! To see how else solar can benefit you, check out our other posts.